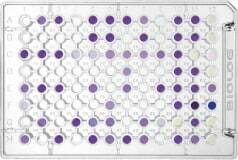 Rapidly and accurately identify over 2,900 species of aerobic and anaerobic Bacteria, Yeasts, and Fungi. Biolog’s advanced phenotypic technology provides valuable information on the properties of strains, in addition to a species-level identification. 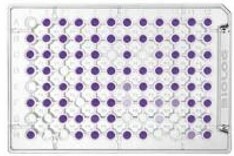 Molecular methods such as 16s sequencing and MALDI-TOF provide no information about the properties of the strain. 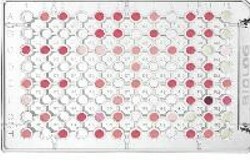 Biolog’s carbon source utilization technology identifies environmental and pathogenic microorganisms by producing a characteristic pattern or “metabolic fingerprint” from discrete test reactions performed within a 96 well microplate. Culture suspensions are tested with a panel of pre-selected assays, then incubated, read and compared to our extensive databases. 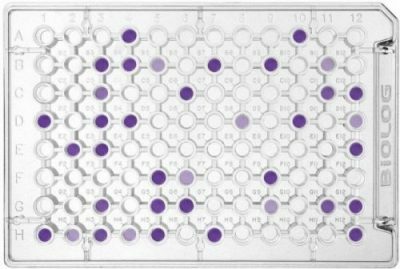 96 well MicroPlates incorporate a patented Redox tetrazolium dye that changes color as a result of cellular respiration providing a metabolic fingerprint. Our complete solution includes instruments, consumables, databases, software. Databases have been designed specifically to support the needs of environmental monitoring, QC microbiology, water and waste-water testing, agricultural and veterinary applications, and other non-clinical needs. 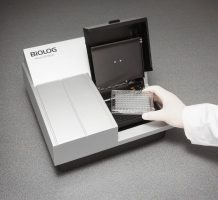 Combine the OmniLog and MicroStation to enable identification of aerobic and anaerobic bacteria, yeast, and filamentous fungi. This combination is the OmniLog Plus System.